Dining tables are a relatively simple piece of furniture. Family of 4? Get a dining table that seats 4. Do your friends or family occasionally come over for dinner? Get a table that seats 8. It’s fairly basic and, assuming you have the space needed, you could get a big enough table to suit any number of guests. But what if you don’t have that space? There are several different types of extendable tables that you can purchase and they’re all great for various reasons. 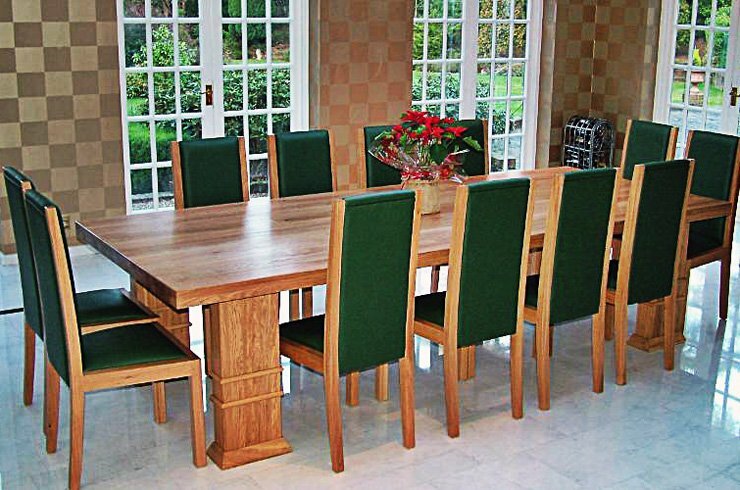 Flap-style extendable dining tables are the easiest to set up and arguably the most convenient. You simply lift up a flap, set a stopper to prevent it from falling back down and you instantly have more dining space for your guests. The mechanisms can be a little clumsy and they might even wear out eventually, but Furniture in Fashion strives to provide quality furniture that you can rely on and we’re confident that you won’t see those problems in our extendable tables. Then there are fold-out style extendable tables. These mechanisms are a little more time-consuming to set up and you’ll need to remove items like tablecloths before you transform your table. However, they offer far more extendable space due to how they work, so you can easily seat up to 12 or more people with a fold-out style table. Lastly, there are slide-out style extendable dining tables. These are fairly easy to operate because all you do is slide out a flap, much like a drawer, and you’ll instantly increase the number of people you can seat. Furniture in Fashion has been dealing furniture for many years and we’ve built experience in both customer service and in creating quality products. No matter what you’re looking for, we’ve got you covered.If you’re in need of help, don’t be afraid to contact us with any concerns or questions you may have.